There’s no greater satisfaction in the world than to be able to teach others successfully. Having an internship program at your company can help you learn the ABC’s of management, provide you with knowledge on how to use your time wisely and allow you to make the most of your projects. With that said, creating an internship program is not easy, especially when you have limited resources. The best way to guarantee a job well done is by creating a detailed plan that is both easy to follow and achievable. I’m going to guide you step by step on how to establish an Internship program for your company on a tight schedule. You should start by outlining the forms you are going to need to fill out. 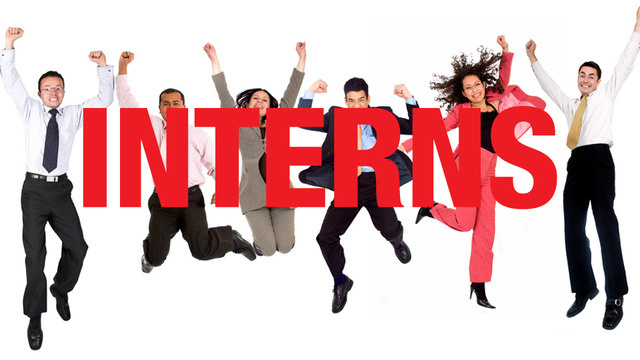 The most important form is the one that explains what your internship is about. This form can later be used to pitch your internship to different schools, job boards and public entities. Your internship details form should be well thought out and easy to follow. Look at this form as your internship’s blue print. Here’s a template of what it should look like. 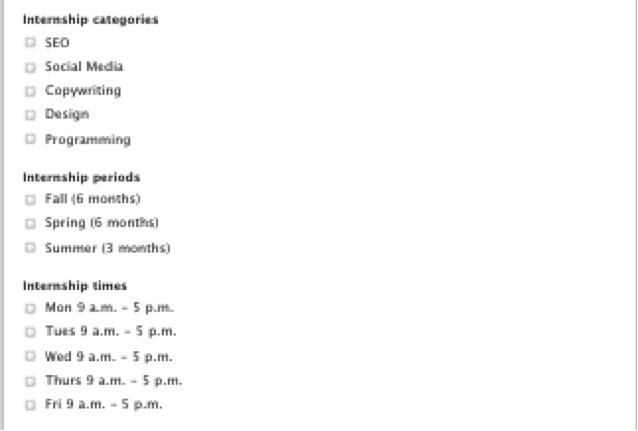 Be sure to fill out all of these categories in depth. The more detail you give about your internship, the better the response you are going to receive. The second form you should create is the actual internship application form that will most likely be on your website, and distributed to schools for students to apply. When you promote your internship, you will probably be asked to provide these two forms. After you’ve completed both forms, it’s time to craft an internship agenda. My recommendation is to craft two different agendas; one agenda for internal use and the other one for intern use. Let’s start with the agenda for internal use. In this section, you should include details on your outreach and interview processes. This outline will mainly list the steps you should follow when hiring and managing interns. Personal experiences (i.e. ask you interviewee what his/her personal experiences have been in the work force as well as in school). Have all chosen interns start the same day for an Internship Orientation. Asking Interns to share a small bio of themselves to the team. Introduce your team as well. Have interns explore the company manual for a whole day and ask questions if they have any. Spending the first 30 minutes of the day explaining to interns the projects that they will work on that day. Address all issues and improve your internship with the feedback given. It’s a good idea to provide your interns with progress reports on a bi-monthly basis. This will help them improve their performance by allowing you to acknowledge their weak areas on a positive note. Asking your interns what they thought about the program. Offer to write recommendations for those interns who’ve excelled. Reporting intern’s progress to their respective University/Job. Form relationships with universities who can provide you with interns on a consistent basis. The final step is to create an actual agenda for interns. I like to think of this agenda as a class syllabus that interns can refer back to when they have a question about what to expect over the course of the internship. It’s a good idea to provide your interns with a company manual that outlines projects and tasks they will be working on. They should review this manual at home before starting the actual internship. Provide this manual during the Internship Orientation. Outlining Intern tasks per week. This will give them enough time to get familiarized with projects. Creating a set of assessments for Interns that will provide you with insight on their learning abilities. Setting up weekly meetings with interns where you discuss company concepts, issues, problem solving techniques and new ideas. You may always add fields to this outline. It’s most important function is to allow you to measure your intern’s productivity and your ability to manage them. Don’t forget to always ask for feedback. Effective communication is one of the most important traits you’ll have to develop and employ. If you have questions about how to create your internship program, contact me through Twitter @Luciasastre1 and I’ll be happy to help!